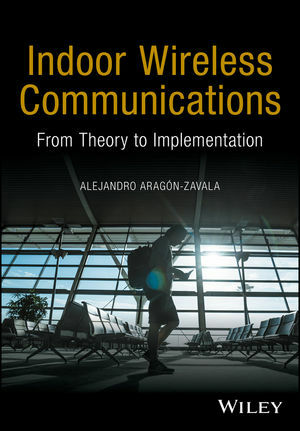 Indoor Wireless Communications: From Theory to Implementation provides an in-depth reference for design engineers, system planners and post graduate students interested in the vastly popular field of indoor wireless communications. It contains wireless applications and services for in-building scenarios and knowledge of key elements in the design and implementation of these systems. Technologies such as Wireless Local Area Networks, Bluetooth, ZigBee, Indoor Optical Communications, WiMAX, UMTS and GSM for indoor environments are fully explained and illustrated with examples. Antennas and propagation issues for in-building scenarios are also discussed, emphasizing models and antenna types specifically developed for indoor communications. An exhaustive survey on indoor wireless communication equipment is also presented, covering all available technologies including antennas, distribution systems, transceivers and base stations. Dr. Aragón-Zavala graduated from Tecnológico de Monterrey, Campus Querétaro as Electronics and Communications Engineer in December 1991. In 1998 he received his MSc in Satellite Communication Engineering from the University of Surrey, and in 2003 his PhD in Antennas and Propagation at the same university. He has worked as an engineer and consultant in the industry, and since 2003, Dr. Aragón-Zavala has been the Academic Director of the former IEC and ISE undergraduate programs at the Tecnológico de Monterrey, Campus Querétaro, and is in charge of ITE (all Electronic Engineering degrees). His research interests include: mobile communications, satellite systems, high-altitude platform systems, antenna design and indoor propagation.